Meanwhile, Ellis Wydell, Verity’s living, breathing boyfriend needs Verity’s help with a police case of his own. After a dead body is discovered near the pecan orchard, Verity gives her insights, thinking her job is done. 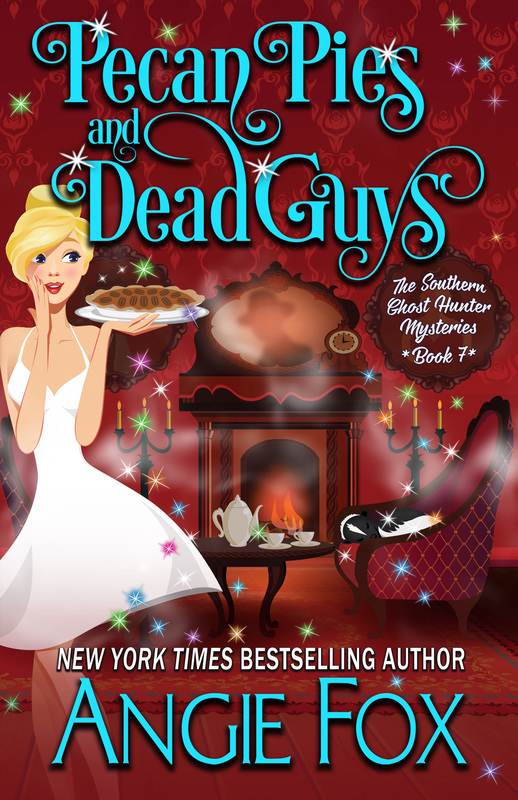 But when mysterious pecan pies start arriving at her house, she wonders who might be thanking her… or stalking her. Between hard-living ghosts and sugar-laden desserts, Verity has her work cut out for her. But will she uncover the secrets behind the pecan pies and dead guys? Or has she stumbled upon a recipe for disaster?